How do I Regsiter for Cub Scouts? See the Registering New Scouts link to the left (Pending). Any child entering 1st through 5th grade can join. When Can My Child Join the Pack? 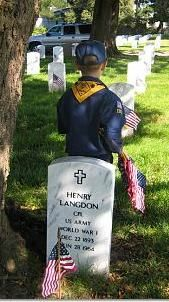 There is no “deadline” or “start-date” to join Pack 290. Although many new members join at the start of the school year, we have boys joining the Pack throughout the year. We have regular meetings during the school year The entire Pack meets once a month on a Friday evening. Each boy in the Pack is assigned to a Den with other boys who are in the same grade. Each Den has its own meeting schedule set by its leader, typically meeting twice a month. How Often Does the Pack Have Other Activities? We typically have one additional Pack activity per month, usually on a Saturday or Sunday. These include hikes, our annual BBQ, swim parties, trips to sporting events, community service projects, and much, much more. Many of the Scouts in our Pack are involved in other activities, including soccer and baseball and balance both Scouts and other actvities. Attendance at all events is optional. 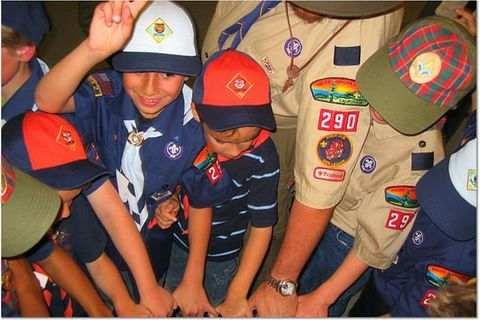 While a few of our Scouts seldom miss an event, boys typically attend about 1/2 of the events offered. What About Camping and Overnighters? Twice a year the Pack takes a week-end camping trip where the whole family is invited to attend. One of these trips, called Cub-Ons, take place at a Scout camp in the Santa Cruz Mountains. We also offer an annual Pack overnighter. We have stayed on a submarine in San Francisco, the U.S.S. Hornet aircraft carrier, at the San Francisco Zoo and the Academy of Sciences. Are Weekend Pack Events Open to the Whole Family? Absolutely! Except for certain overnighters where our hosts place age restrictions on their guests, all family members are welcome at Pack meetings, week-end activities and Cub-Ons. A parent or guardian must be present for any activity where siblings participate. Who are the Pack’s Leaders? Pack 290 is charted and run by entirely by volunteers who are the parents of its current and former members. Please see the link to Pack Dues to the left. If you have any questions about Pack 290 and our program, please follow the Contact Us link and send our leader a message.